It was hot. Judy was with her mother and sisters. They had no money and were singing at the Chicago Worlds Fair of 1933. This is six years before The Wizard of Oz would bring her fame. Judy decides to duck out and catch a movie at the Biograph. It is air conditioned and she stays for five shows and finally leaves when Manhattan Melodrama ends a final time with Clark Gable getting the electric chair. She walks into the lobby and then out to the sidewalk and sees a man she recognizes. Garland thinks he is a movie star because she recognizes his face from the papers. This is Chicago after all and famous people are out and about. Judy asks him for his autograph and he obliges, giving her a grin. Then the man goes into the theater leaving the young singer staring at his signature. John Dillinger. The famous bank robber was going in to catch a movie and probably get away from the heat as well. Judy cant believe it and goes back to the fairgrounds to tell her mother. Biograph. He is thirty one. Judy sings that night at the Worlds Fair but she is not famous yet. 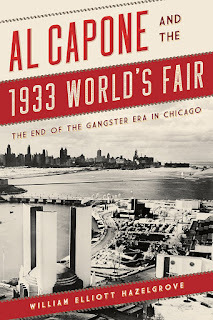 Thirty years later she will tell her story of running into Public Enemy #1 on a hot Chicago night when she took a break from the Chicago Worlds Fair of 1933.